You’ve heard about OSHA’S new silica law and realize there could be huge costs for not complying. But where do you begin? What is actually at stake? What are the requirements you must meet to fully comply? In our Silica Training Events, we help break it down into 7 steps so you can understand what you need to do to be legal. Watch for events coming to a distributor near you! Classroom instruction will include an explanation of Table 1 and Table 2 requirements, exposure monitoring under Table 2, writing a silica safety plan, and training competent persons for on-the-job compliance. 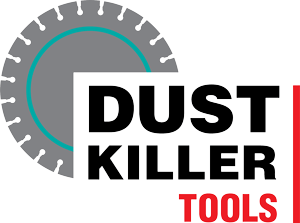 A hands-on demonstration will include 3 methods of engineering controls for silica dust, including wet cutting, central dust collector systems, and saws with integrated dust control. Copy of OSHA’s Small Entity Compliance Guide. Copy of Written Control Plan for use as a template. 7 Step Action Plan to become compliant with the silica standard. Resource Guide for silica sampling and lab analysis for exposure to silica. Required 1 hour training of Hazard Communication for respirable silica. Analyze a laboratory test report for respirable silica exposure. This is a 2 hour course and has been pre-approved for 2 hours of Continuing Education by both ICPI and NCMA. No dates now, fill out the form to stay tuned. Want to Stay Informed about Future Training Events? Fill out this form and we’ll let you know when the next training event is scheduled. Any questions call (717) 983-3878.